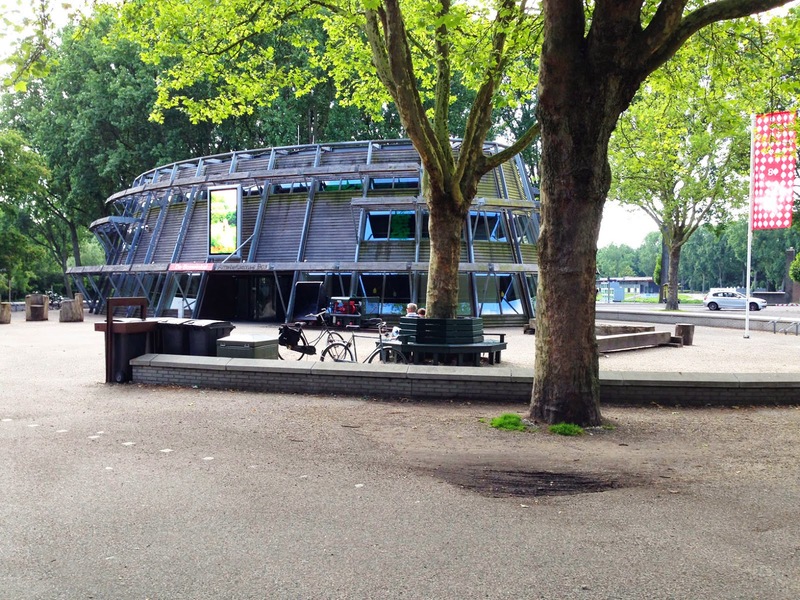 There is an urban idyll on Amsterdam's south side that's a great place to run, bike or hang around. 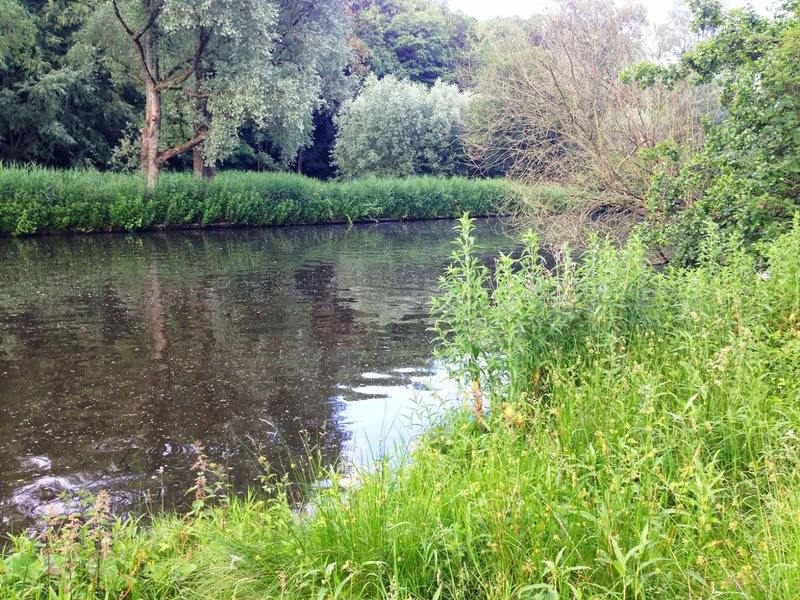 Built as a make-work project during the Great Depression, the Amsterdamse Bos park is entirely man-made. 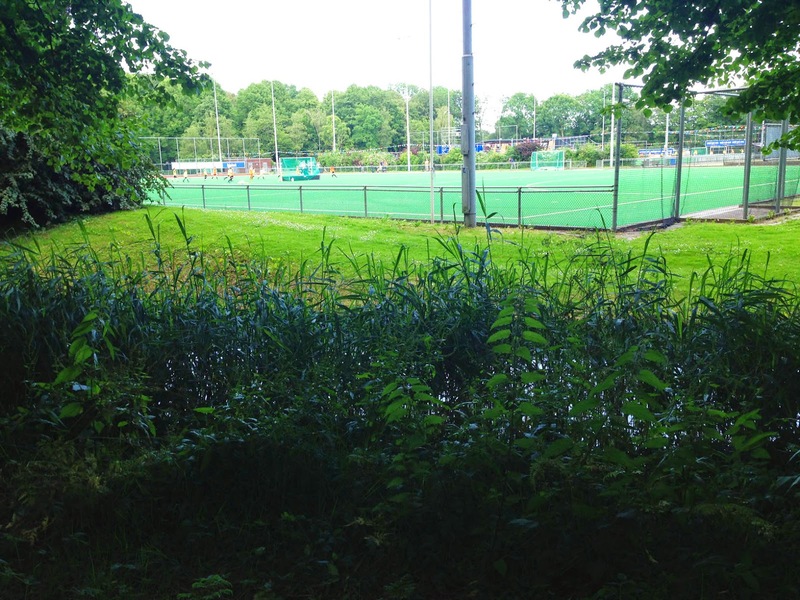 The place is huge: 3 times bigger than New York's Central Park, and is covered by a mixture of woods, meadows, farm fields, ponds, ditches (like everywhere in the Netherlands) and sports fields. It's divided into 2 parts (northern- and southern halves) by the A9 freeway. It's located right next to Schiphol airport, but it's not normally loud. 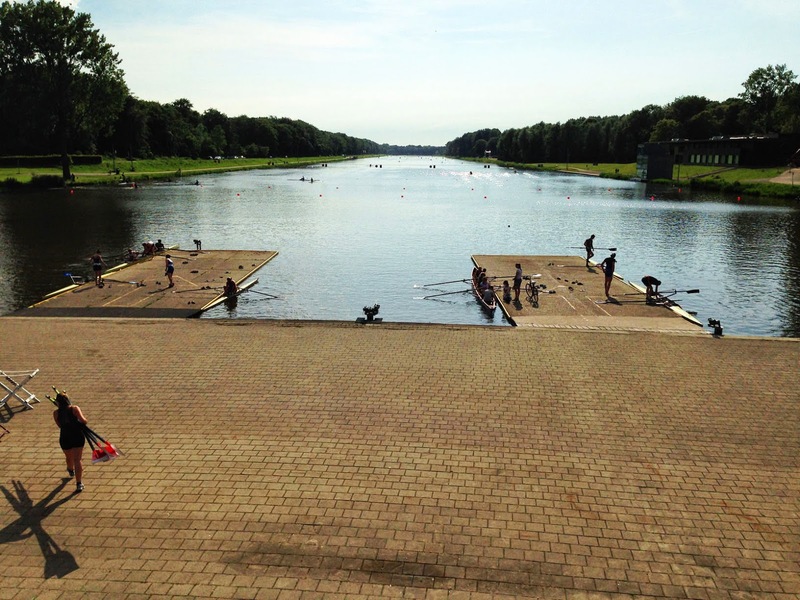 The north edge of the park is moated with a long, straight rectangle of water, the Bosbaan, which is used for rowing competitions. 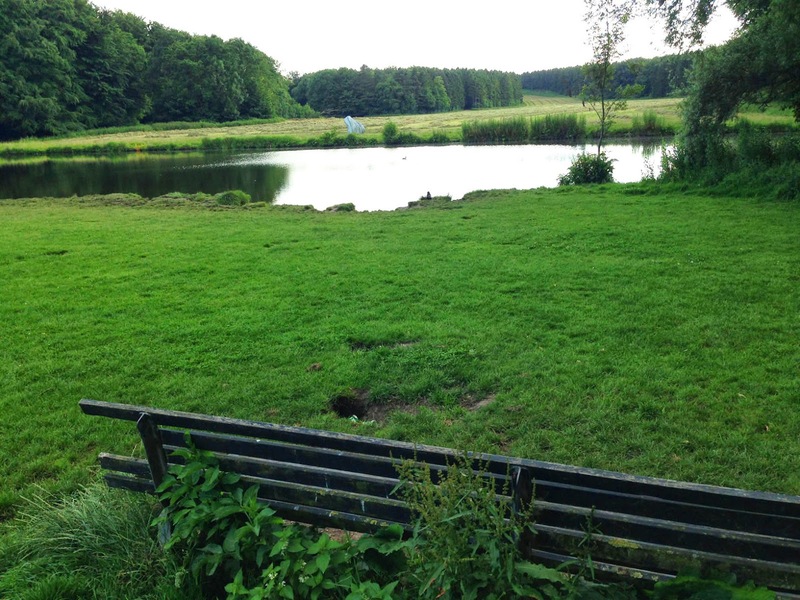 And north of that, you'll find the Niewe Meer, a lake used by sailors and motorboats. 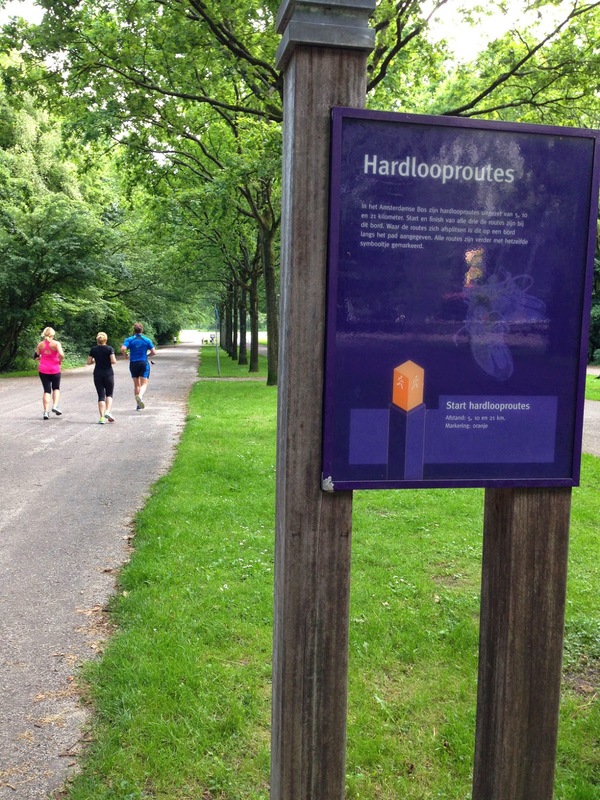 There are marked running trails in the park (called "Hardlooproutes"), so this route is simple to follow. They all start and end at the visitor center, located at the northeastern corner of the park. 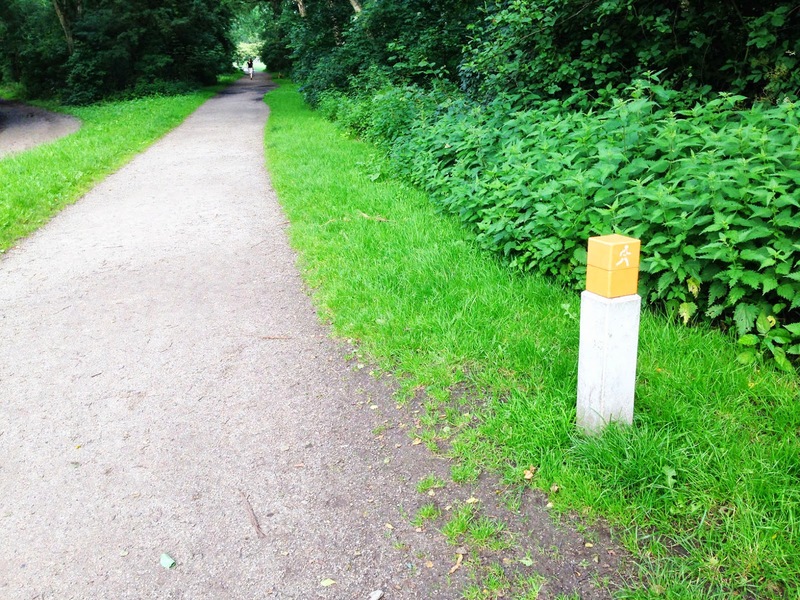 The running trails are marked with short orange posts with a white running figure. There are 3 loop-trails, of 5-, 10- and 21- kilometers that all overlap. The two shorter routes just cut back towards the return-trail earlier. If you want to loop around the northern part of the park, it's 10 km. If you want to loop through both parts (plus an extra section along the Bosbaan), take the half-marathon (21-km) route. It follows the 10K route in the north and adds a loop through the southern park section. The 5-km route just shortens the 10K trail to the northernmost part of the park. There is an interactive map at the park website at that shows the three routes. Just click on the arrow to the right of "Hardlooproutes" and click on/off the various routes to overlay them on the map (5-km is yellow, 10-km is red, and 21-km is pink). NOTE: There are also two shorter, special routes. The purple "Trimroute" fitness route of 2.2 km connects various conditioning stops, and there's even a cross-country route (blue: 2.8-km), if you like hurdles! The start/end-point at the visitor center is on Bosbaanweg, called Van Nijenrodeweg east of the park. The visitor center is a small oval-shaped building. To get to the park with public transport, take Metro lines 50 or 51 to Arent Ernststraat, a half-kilometer east of the park. Park maps are posted at the park entrances but not inside the park. You can buy a map of the Hardlooproutes in the visitor center, if you wish. The starting point is, like most trails in the park, two parallel trails: one for bikes and one for walkers/runners (on the left side). Both are paved here, but the walking path turns to gravel later. So off you go, as the path first curves to the right, going through lawns and past a kids' wading pool. It crosses a bridge over a canal, then curves towards the left. After crossing a second bridge, the 5-km trail cuts off to the left. For the longer trail, keep running straight. It then loops clockwise around a circular lawn, then heads north for a short ways, and then turns left, just before reaching the Bosbaan waterway. In 200 meters, the main Hardloop trail turns to the left to go south. But you could go straight to follow the extra loop to the north side of the Bosbaan (if you want to run the 21-km section). It loops back to this same spot again. Now you head south, as the trail winds through the woods along west side of the park. You cross a bridge, then turn right to follow the water on your right side. After 200 meters, the trail turns right, then left again to continue its southern meander. You'll pass the goat farm and bisons, and then the trail heads southeast, parallel to the freeway that separates the two park halves. But the trail keeps its distance from the freeway, so you don't hear much. After crossing another bridge, the trail splits. The trail to the right heads southwards, under the freeway and does the big loop through the southern part of the park. For the 10-km route, just keep running straight, parallel to the freeway. In just 200 meters, you reach the eastern edge of the park, where you turn left and start the way home, heading northwards. You'll later pass a horse-riding center and various sports fields, where the trail runs next to the road to the sports facilities. At the kids' wading pool, the route merges into the trail you ran at the beginning, where you turn right and head the last few hundred meters back to the visitor center. 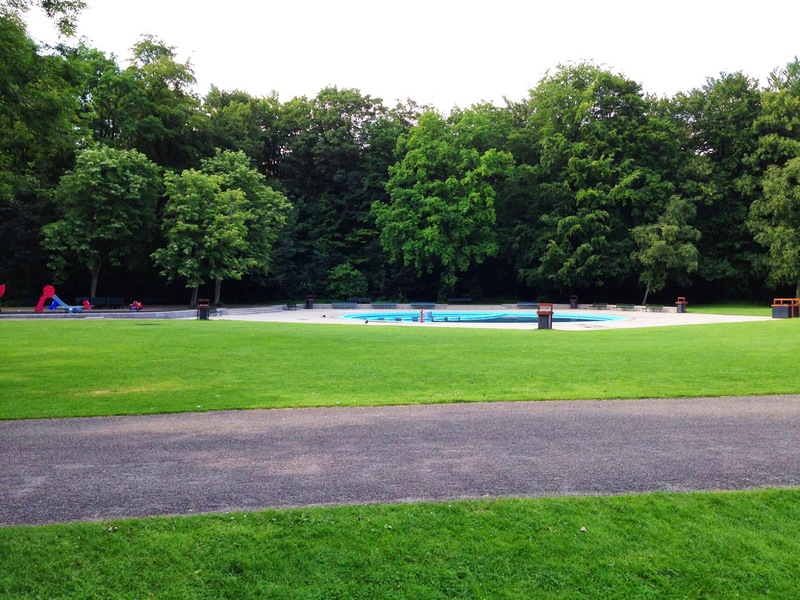 I stumbled across the Sloterpark when I was in Amsterdam last week. 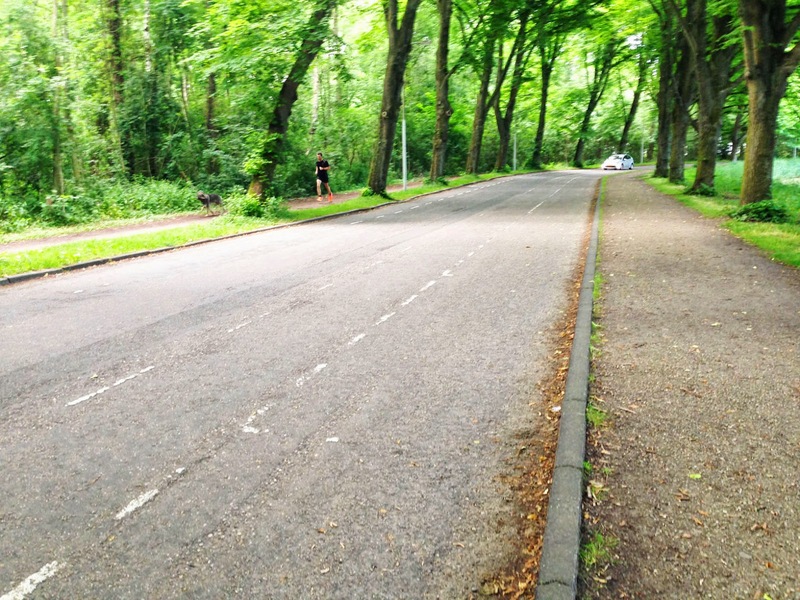 Fantastic place to run, people very friendly and away from the traffic! That was my experience there, too, Jonathan. It's always great to find a hidden bit of green and water when in a big city. Here's to more great runs!